Everything from the housing, frame, ACS, and chute are 100% steel construction, meaning this snow blower is built to last. All new double deflector provides wider range of throw, from right next to a fence or far as the operator needs. Automatic steering makes turning easier and convenient one-hand levers allow single-handed operation freeing the other hand to change speeds or the chute control without stopping. Easily change the chute direction and angle with the Quick Stick® chute control. 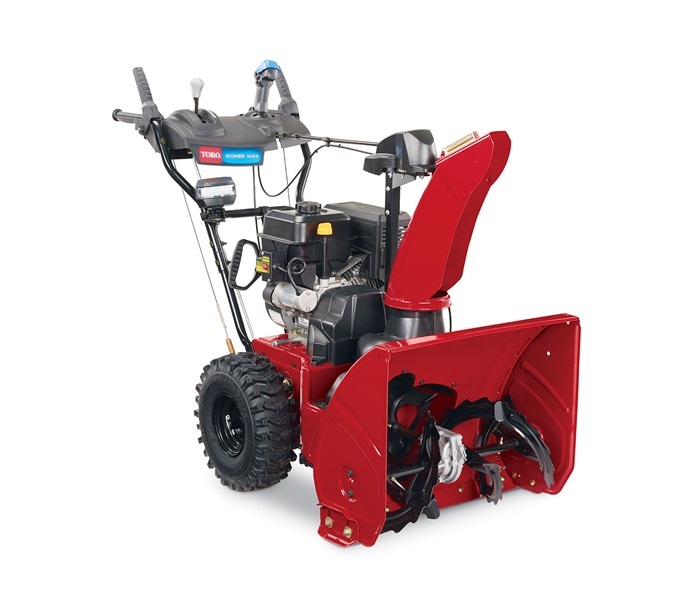 Powered by a Toro Premium 252cc OHV 4-cycle, it's ideal for concrete, asphalt or gravel surfaces that can park up to 4 - 10 cars and 6 - 12" (15-31 cm) of snow at a time. All Steel Construction - the housing, frame, ACS, and chute are 100% steel construction, meaning this snow blower is built to last. Automatic steering - allows for smooth, tight turning without pulling or strain. Specifications subject to change without notice and without incurring obligation.